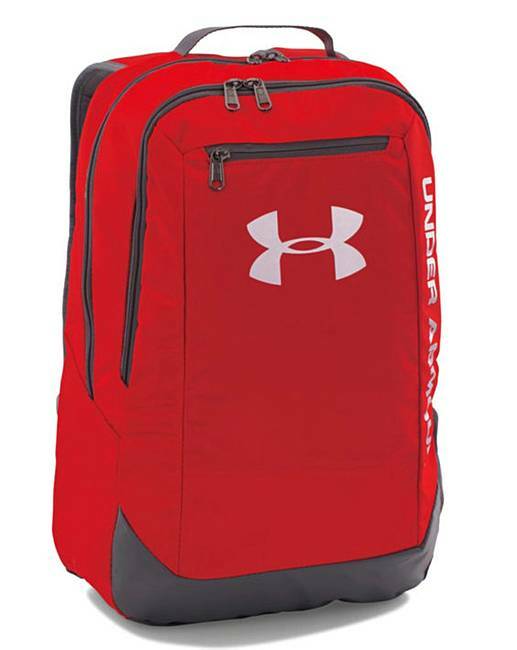 Under Armour Hustle Backpack is rated 5.0 out of 5 by 4. Rated 5 out of 5 by rodders from Love this backpack I have bought this for my trip to Norway in August and its perfect for stuff while im walking around Bergen and hillwalking. Rated 5 out of 5 by BevR from Lovely Bought for my hubbby. Perfect size, few different pockets which he liked. Good quality.